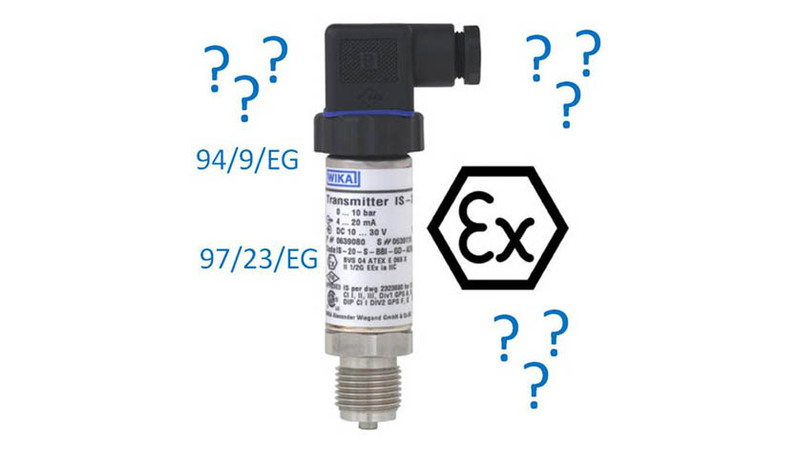 Generally, all pressure sensors which are distributed in the EU market have to comply with the requirements of the “pressure equipment directive” as well as the EMC directive 2004/108/EC. Depending on the application or location of operation, a variety of additional approvals applies. For example, the provisions of the 94/9/EC ATEX directive apply in hazardous areas in Europe. Regulations also exist for applications in motor vehicles, for example, the EMC directive 89/336/EEC, containing requirements on EMC. Of course, there are also certifications for markets outside of Europe, e.g. CSA for Canada and FM approvals or UL for the USA. For various reasons it can become necessary to make modifications on existing designs of pressure sensors. Very often, for example, customer-specific process connections or modified electrical outputs are required. Although in most cases the implementation of these modifications poses no technical challenge, the directive is that no modifications may be implemented on certified instruments. Any modification must be precisely and thoroughly evaluated by a standards professional in the company. This professional may determine that the desired modification is technically or normatively not admissible, as, according to ATEX for example, the instrument would then present a source of ignition. If the standards specialist decides that a modification is technically admissible, the formal conditions must nevertheless still be controlled. The modification can be effected immediately if the existing certificate as well as the test report and technical documentation cover this already. For in some cases, the pressure sensor concerned may already be approved in additional variants, the manufacturer however, might not have put these variants on the market or made them public yet. If the modification is not covered by the existing certificate and test documents, an amendment entailing additional costs must be issued by the responsible authority or certification body, which usually takes up to 6 months handling time.